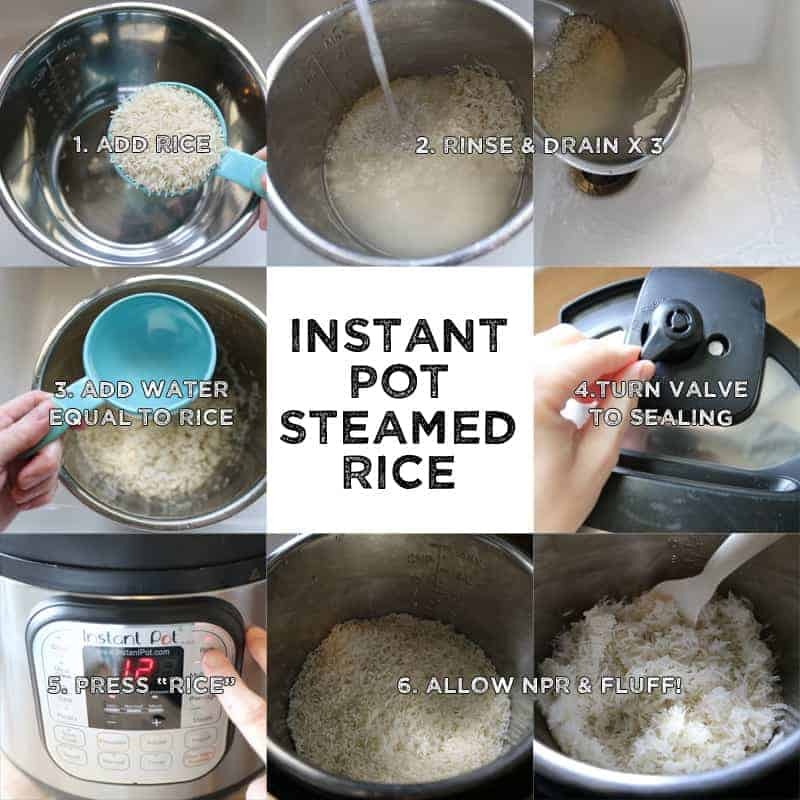 Are you making steamed rice in the Instant Pot? It is so easy, hands-off, and it turns out perfect every time! If you own an Instant Pot, you’re likely a member of the Instant Pot Community Facebook group. That group can be a multitude of things, helpful and informative but also intimidating and confusing! Someone will hop on and say, “how do I make eggs?” Then sure enough there are 527 responses, all with different methods for making hard-boiled eggs, and every single one is the “best!” That can be a little daunting, especially if you’re new to the pot. Eggs are not the only seemingly-easy-yet-can-get-totally-confusing thing to cook in the instant pot. Which leads me to… rice. It seems everyone has an idea of what’s best from how much water and rice to use to how much time you should cook it for. Well lucky for you, I’m going to explain the no-fail method that I think even the creators of the Instant Pot actually want you to use. Here’s a hint, it’s the “Rice” button. I’m serious. 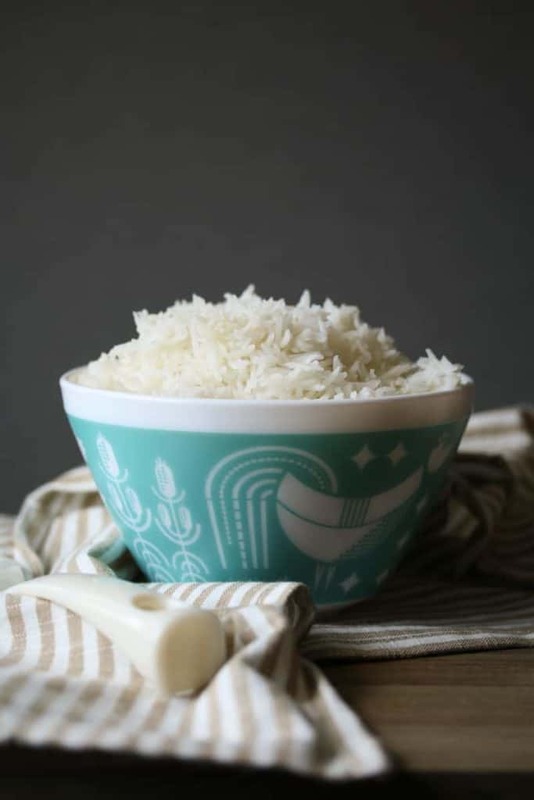 All it takes is equal parts long-grain white rice, water, and the rice button! Perfect rice every time. Look below for the steps but I’m telling you, it’s really so easy! 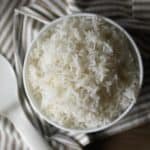 I’ve used regular long-grain white rice, basmati rice, and jasmine rice with this method and they all turn out perfectly. Want to know one of the secret tips? Rinse the rice! It removes all that extra starch so you don’t have a sticky mess once it’s all cooked. Rinsing also helps prevent too much rice from sticking to the bottom of the pot. The “rice” button on the pot is intended for long-grain white rice. 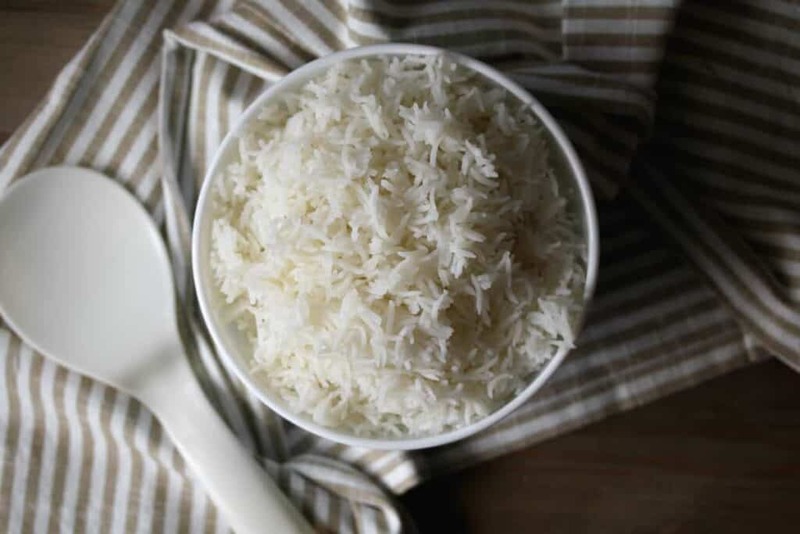 Since very little water evaporates when you’re cooking with the instant pot, you use a 1:1 ratio of rice to water. So for every cup of rice you use, you’ll also use a cup of water. Easy! Measure the amount of rice you want and put it in the pot. I usually need 2 cups of dry rice. Rinse the rice right in the pot with water by filling it about halfway and stirring it around. Pour off the water. You don’t have to drain every last bit of water out. Just pour out what you can before the rice also starts pouring out. Once it has been rinsed three times, add in water equal to the amount of rice, for me that would be 2 cups of water. Put the lid on and turn the valve up to “sealing.” Press the “rice” button. Then, let it do it’s thing! After it beeps, it’s done. Allow the pressure to release naturally (NPR) by allowing the Instant Pot to sit until the pin drops on it’s own. After the pin has dropped, turn the valve to venting, then you can remove the lid. There you have it! Perfect rice! Fluff it up and do what you will with it. If it’s me, I’m probably using it to make Bacon Fried Rice or Sweet Fire Chicken. 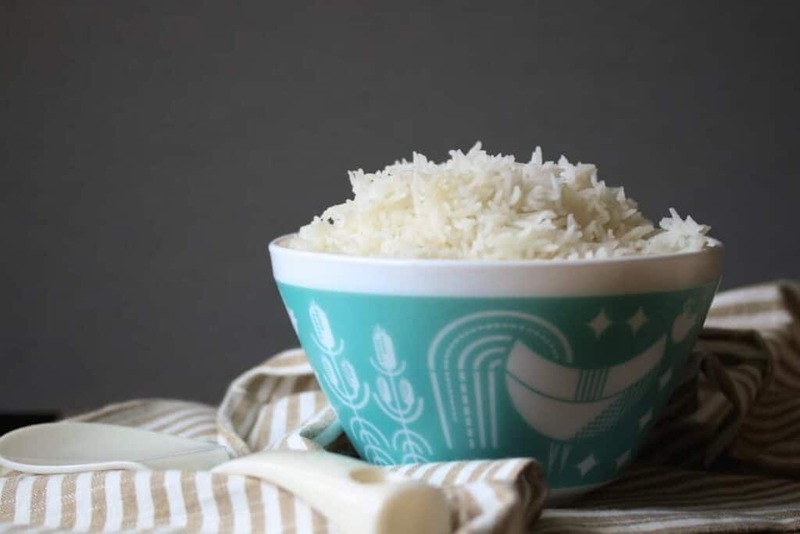 This is the easiest, no-fail way to make long-grain rice in the Instant Pot. Put 2 cups of dry rice in the Instant Pot liner. Fill halfway with water and stir it around. Drain the water by pouring out as much as you can without pouring out the rice. Repeat step 2, two more times. Put the lid on the instant pot and close it. Turn the valve up to "sealing." Press the "rice" button. It should say "12." Now, allow the pot to do it's thing! When it beeps, allow the pot to sit until the pin drops on it's own (aka NPR or Natural Pressure Release). Turn the valve to venting, remove the lid, and fluff the rice with a spoon or fork. Done! Perfect rice every time!